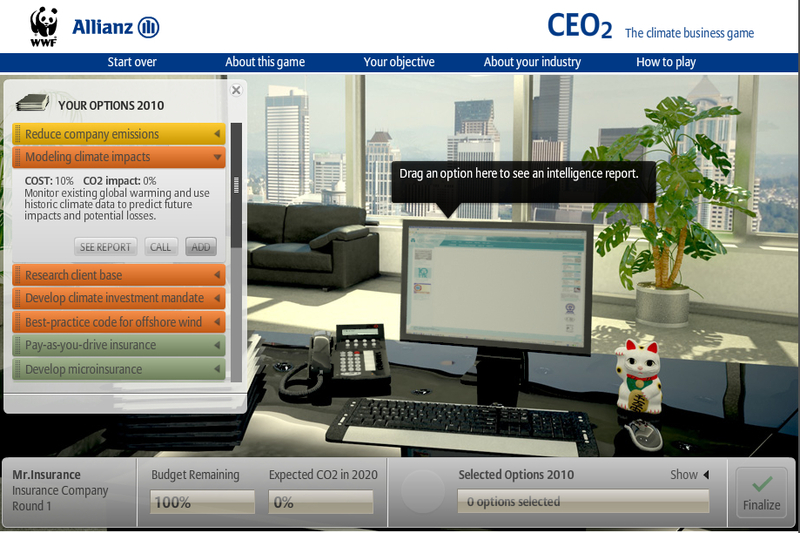 We are excited to share an exciting new climate learning tool: CEO2 – The Climate Business Game. Allianz and WWF have teamed up to create CEO2, an online game that allows users to lead a company from four different industries. Leaders have 20 years and a limited budget to cut CO2 without compromising their profits. Explore the game and determine how you would handle these decisions.